There is goodness that you feel conditionally: scoring a goal in a soccer game, acing an exam, finishing a hard workout, stopping the invasion of planet earth by a hostile alien race... All of that stuff feels good, no question, but only if we succeed. There is another kind of goodness that is unconditional. You can learn to feel it even without an accomplishment to get the party started. 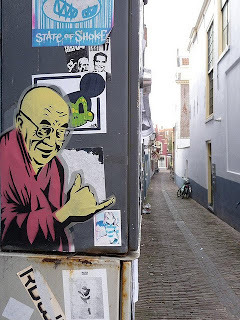 Tibetan Buddhism has a contribution to make to global society, in the realm of psychology. Sometimes people live in a fantasy that Tibet was some kind of utopia. It definitely was not. However, what differentiates Tibetan Buddhism from other Buddhist countries/places, is that Tibetan monks and mystics lived in relative isolation for over a thousand years, living in a virtual laboratory for studying the mind. As a result, the insight that Tibetan Buddhism offers us into how the mind works is extremely profound. One particular teaching that I find especially helpful and interesting is the wheel of life image (see above), which has a lot to do with karma. Tibetan Buddhism's examination of karma includes a series of causes and linkages called the 12 Nidanas. The cycle of confusion that keeps humans in a perpetual state of suffering called samsara is a result of the Nidanas. These are depicted through the 12 images around the outside of the wheel of life. 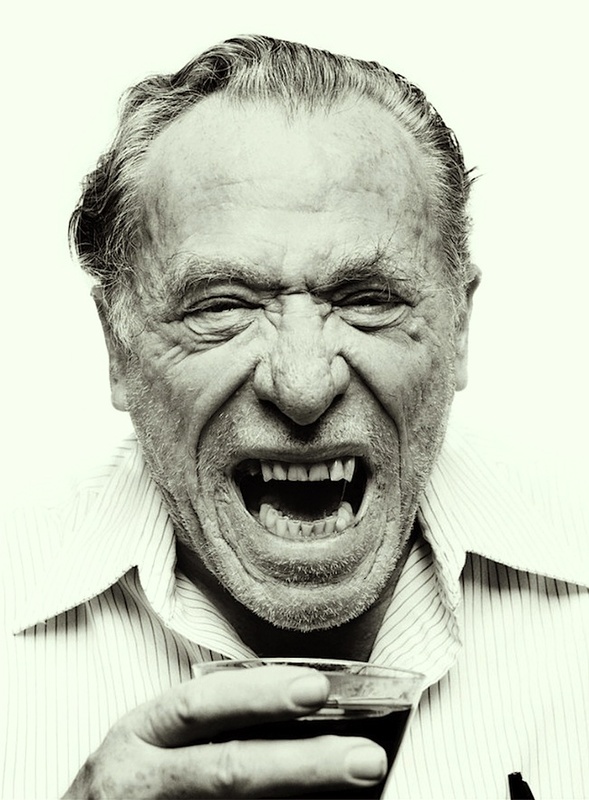 Charles Bukowski, not a meditator. Tully: You can really write. Why do you live like a bum? Henry (who is basically Bukowski): I am a bum. What do you want me to do? Do you want me to write about the sufferings of the upper classes? Tully: This may be news to you but they suffer too. Henry: Hey baby, nobody suffers like the poor. That last phrase has stuck with me for years. Throughout my time in the Peace Corps, in my work in international development and humanitarian relief, and as a Buddhist, I've often wondered if the poor suffer more. I used to think they definitely did, although I have seen some very well adjusted poor people and I have seen lots of miserable rich people. The poor obviously suffer more in the material sense. Those who live in constant fear of violence may suffer even more than those who are just poor. You're thoughts are contagious, especially when you vocalize them. Positive thoughts, or negative thoughts, whether it's in the places we live, work, study, practice or gather, when you give voice to your thoughts, they can spread like fire. A few complaints can create a palor of unsettled discontent in your environment. They can taint the way your friends and family see the world. The Aikido dojo where I practice has a rule. Students of this Zen influenced martial art shouldn't vocalize their emotional baggage in the dojo. If someone in the locker room starts complaining about his boss, the next guy is likely to join in with a similar story. Next thing you know, 3 people will be complaining about their workplace and a cloud of dissatisfaction settles in. This leaves us in a poisonous place that isn't conducive to practice and study.